Born: 3 January 1819, Naples, Italy. Died: 21 February 1900, Ripon, North Yorkshire, England. C. Piazzi Smyth, astronomer, artist and photographer, was the second son of the hydrographer Admiral William H. Smyth and his wife Annarella Warington. His second given name reflects his father's admiration for a close friend, the Italian astronomer Guiseppi Piazzi (1746-1826), discoverer of the first minor planet, Ceres. The family left Italy for England in 1820, resided in London to 1828 and then moved to Bedford, where Piazzi received his schooling. He also learned practical astronomy, and probably much more, from his father, who had wide interests and was a notable amateur astronomer and antiquarian. Piazzi, like many members of his family, had considerable artistic ability and produced sketches from the age of 10. One of his father's friends was Thomas Maclear*, who was appointed His Majesty's Astronomer at the Cape in 1834. The next year, at the age of only 16, Piazzi was appointed assistant to Maclear at the Royal Observatory, Cape of Good Hope. He arrived in Cape Town on 9 October 1835 and took up residence in the observatory building with the Maclears. Though he had received only a limited education and lacked experience, he was a robust and hard-working young man, was quick to learn, and had wide interests. 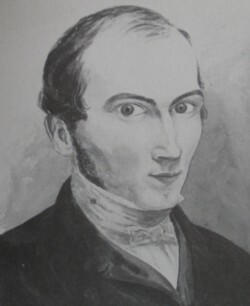 Maclear instructed him in the observational and mathematical techniques of positional astronomy and was much pleased with his work, though his proficiency in mathematics remained limited. His astronomical work consisted mainly of observations with a transit instrument and mural circle to determine the positions of numerous southern stars, recording and copying observations made by Maclear, and assisting in the reduction of the observations to produce accurate star positions. For the first four years he was the only assistant and worked very long hours. One of Maclear's tasks was to re-measure and extend the arc of meridian measured some 80 years earlier by Abb� N.L. De la Caille*. From 1839 Smyth carried out much of the field work for this endeavour. In October that year he was joined by William Mann*, who had been appointed second assistant and with whom he became close friends. Maclear's arc stretched from the Royal Observatory in Cape Town to a point beyond the Kamiesberg in Bushmanland (a north-south distance of some 500 km), while the triangulation was extended eastwards from Cape Town to Cape Agulhas. Six months were spent measuring a baseline some 13 km long in the Zwartland. The angular measurements, commenced in September 1841, were made with the best available theodolites and were often repeated 100 times or more. It was difficult work that entailed considerable hardships, carried out in the heat of summer, on freezing mountain tops in winter, often delayed by rain, storms and poor communication between stations. Particularly during 1843-1845 Smyth spent most of his time in the field, carrying out his tasks with great skill, perseverance and enthusiasm. The results of the survey were published by Maclear in 1866. While conducting his survey work Smyth developed an interest in the zodiacal light - a faint glow in the west after sunset, extending from the horizon along the ecliptic. He devised a wooden instrument with sights and graduated circles to observe the extent of the light and determined the conditions under which it might best be observed. A description of this work was later published in two papers, "Attempt to apply instrumental measurement to the zodiacal light" (Proceedings of the Royal Society, 1848) and "Contributions to a knowledge of the phenomena of the zodiacal light" (Transactions of the Royal Society of Edinburgh, 1853). His field work also convinced him of the advisability to locate large telescopes on high mountains where the air is clearer. A note by him dealing with this topic, "On the advantages of employing large specula and elevated situations for astronomical observations", was published in the Monthly Notices of the Royal Astronomical Society in 1845. Other notes and articles by him in the same journal dealt with the comet of 1843 (1843, 1846), the arrival at the Cape of the zenith sector used to determine latitudes as part of the arc of meridian survey (1838), and astronomical drawing (1843). He was a member of the South African Literary and Scientific Institution, serving on its council from 1838 until his departure from the Cape in 1845. Smyth made numerous pencil and pen-and-ink sketches, as well as a few water-colours, while at the Cape. Many sketches were produced in the field during his survey work. His artistic activities led to a close friendship with Charles D. Bell*, artist and later surveyor-general of the Cape Colony. Collections of Smyth's work went to the Durban Museum, the Africana Museum in Johannesburg, the Royal Observatory in Cape Town, and the Royal Society of Edinburgh. In November 1839, less that a year after the invention of photography, he conducted some experiments in this regard, but without much success. From 1842 he again experimented and also corresponded with Sir John Herschel* on the subject. A number of his calotypes, taken during 1842-1845, are held at the Royal Greenwich Observatory and the Royal Society of Edinburgh. Most of them depict the Cape Observatory. They are the earliest surviving photographs taken in South Africa. In addition to these activities Smyth introduced a system of irrigation that was new to the Cape, to improve the appearance of the observatory grounds with trees and shrubs. He devised a simple but ingenious windmill, with self-adjusting canvas sails, to drive a water pump which raised water from the nearby Liesbeek River to the top of the low hill on which the observatory stands. Years later he published an account of this enterprise entitled "On raising water for the purpose of irrigation in the colonies" in The Practical Mechanics Journal (1852). The paper also dealt with irrigation facilities in Australia and India and their possible improvement. Around the beginning of April 1845, when still a young man of 26, Smyth was appointed to succeed Thomas Henderson* as Astronomer Royal for Scotland, director of the Calton Hill Observatory in Edinburgh and professor of astronomy in the University of Edinburgh. His father had applied for the post on his behalf and a glowing testimonial was provided by Sir John Herschel, who had met Piazzi at the Cape. Young Smyth left the Cape on 22 October 1845, having delayed his departure to complete some survey work. In his new post he was concerned mainly with meridian astronomy, but at his arrival the observatory was in a sad state of neglect. At first he spent much of his time reducing observations made by his predecessor, producing five volumes of Edinburgh observations by 1852. His own meridian work, aimed mainly at the discovery of stellar motions, was reported in five further volumes, published between 1855 and 1888. However, his innovative nature found expression in various other activities. As an advocate of high altitude sites for astronomical observatories he undertook a one-man expedition to the 3715 m high peak on Tenerife, Canary Islands, in May 1856. His observations there of the transparency of the atmosphere, quality of star images, and intensity of solar radiation at elevations of up to 3000 meters provided a clear demonstration of the advantages of mountain sites. In addition to his scientific report on the expedition he wrote a popular account, Teneriffe: An astronomer's experiment... which was the first book to be illustrated with stereoscopic photographs. In 1859 he travelled to Russia and wrote a charming book, Three cities in Russia (2 vols), illustrated by his own sketches. He also visited Ireland, Sweden and other European countries. During the eighteen-seventies he set up at his own expense powerful spectroscopic equipment of his own design for the study of the spectra of the sun, the aurora borealis, and diatomic molecules in the laboratory. His significant contributions to the development of spectroscopy included a study of the spectrum of the zodiacal light, carried out on the island Madeira. His main contribution to knowledge of the solar spectrum was published in a lengthy paper, "The solar spectrum in 1877 and 1878", in the Transactions of the Royal Society of Edinburgh (1879, 58p). He published well over 100 papers during his career, including a number on subjects such as meteorology, astronomical observations at sea, time signals, and new or improved astronomical instruments. Smyth married Jessie Duncan on 24 December 1855, but they had no children. She often assisted him in his work. His achievements earned him an honorary Doctor of Laws (LLD) degree from the University of Edinburgh. He was elected a Fellow of the Royal Astronomical Society in 1846 and of the Royal Society of London in 1857. During the eighteen-sixties Smyth became interested in speculations about the dimensions of the pyramids of Egypt and their internal structures. More particularly, he believed the claims that the British inch was related to the sacred cubit of the bible, that this unit of length had been employed in the construction of the Great Pyramid, and that the construction had been carried out under divine guidance by the ancient Israelites. Having studied the literature on the subject he wrote Our inheritance in the Great Pyramid (1864, 600p) which immediately became popular and was published in various editions to 1890. Judging that additional mysteries might be unveiled by taking more accurate measurements, he and his wife went to Egypt in 1864-1865 to survey the monument. This meticulous work earned him the Keith Prize of the Royal Society of Edinburgh. His study of the measurements revealed numerous (often far-fetched) numerical coincidences which he believed reflected extensive esoteric knowledge on the part of the builders, for example, about the density of the earth, the future population of Britain, or the date of the end of the world. His conclusions were published in two books, Life and work at the Great Pyramid during the months of January, February, March and April A.D. 1865; with a discussion of the facts ascertained (Edinburgh, 1867, 3 vols) and On the antiquity of intellectual man, from a practical and astronomical point of view (Edinburgh, 1868, 512p). His senior position in astronomy, and some supporting speculations about the British inch by the eminent Sir John Herschel, helped to increase the impact of these books, making him a pioneer of the number mysticism that is still sometimes associated with the study of ancient monuments. However, his standing in the scientific community suffered as a result. In 1874 he resigned from the Royal Society when they refused to publish a paper by him on his pyramid work. Funds for the observatory dried up, his relations with the university authorities became strained, and he became increasingly eccentric. Smyth retired as Astronomer Royal in 1888 and settled in Ripon, North Yorkshire, where he continued his work in spectroscopy and contributed to the photographic study of cloud formations using a camera of his own design. He has been described as "a fascinating eccentric with more than a touch of genius" (Evans et al, 1969, p. 189 Note 151). Cape of Good Hope almanac and annual register... (title varies), 1839-1845. Eggen, O.J. Charles Piazzi Smyth. Monthly Notes of the Astronomical Society of South Africa (MNASSA), 1955, Vol. 14(9), pp. 61-64. Evans, D.S., Deeming, T.J., Evans, B.H. & Goldfarb, S. Herschel at the Cape: Diaries and correspondence of Sir John Herschel, 1834-1838. Cape Town: Balkema, 1969. Gill, D. A history and description of the Royal Observatory, Cape of Good Hope. London: HSMO, 1913. Maclear, T. Operations for the verification and extension of the abbe de Lacaille's arc of meridian at the Cape of Good Hope (2 vols). London: John Murray, . Warner, B. Charles Piazzi Smyth: Pioneer Cape photographer. Africana Notes and News, June 1978, Vol. 23(2), pp. 52-59; March 1980, Vol. 24(1), pp. 27-30; September 1983, Vol. 25(7), pp. 241-245.